Professional-grade Windsor Ice Melter Blend with Blue Crystals offers no more guess work, and is designed to help users save time and money. 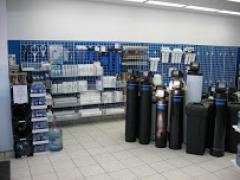 Highest Concentration of Calcium Chloride on the market. Highly visible blue crystals are fast acting, easy to apply and show where product has been applied, making it both easy and economical to use. 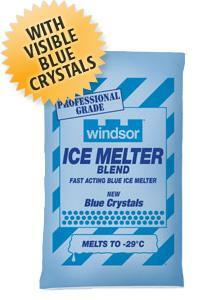 Windsor Ice Melter Blend melts ice and snow at temperatures as low as -29°C. Salt has been used in de-icing since the 1940s, providing safety and mobility for motorists, as well as for commercial and emergency vehicles. Without it, winter would be hazardous and chaotic. In Canada, the primary type used is rock salt, which is mined directly from the earth and requires no additional processing. 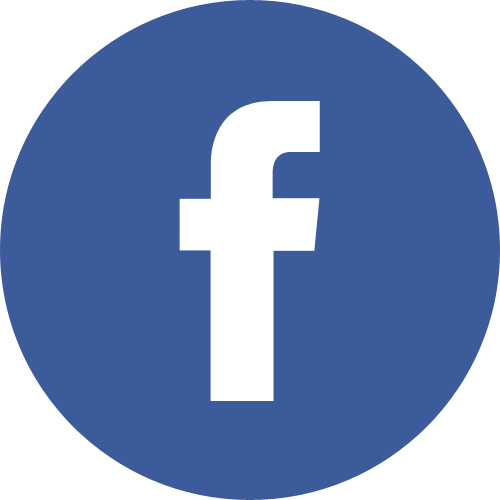 In excess of 4.5 million tons of salt is used yearly to keep roads safe in Canada alone. It works by a simple principle. The brine solution created when salt is applied to ice and snow has a lower freezing temperature than the surrounding ice, making travel safe. In fact, it's the safest, most economical and efficient de-icer known, and has the added advantage of being in plentiful supply. Home use: Sprinkle on steps, walkways, driveways, etc. 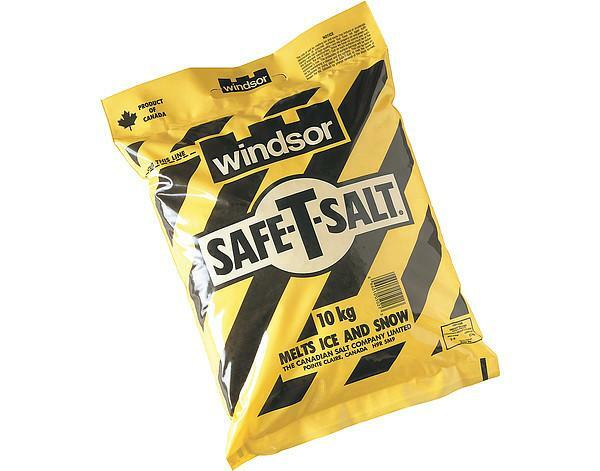 Safe-T-Salt removes ice and snow the easiest possible way. Car use: Safe-T-Salt provides quick melting traction under the wheels stuck on ice or in the snow. Store in car trunk for added weight.